“We stand at the beginning of a new year – or a new relationship, a new job, or even a simple drive out in the country – and we imagine the road ahead, as if we could see clear and straight. As if there were no bends in the road that seemingly come out of nowhere.” These words from the book’s forward provide a haunting preview of the author’s story of love and heartbreak. Final Drive, published by Dog Ear Publishing, follows the story of a Midwestern family’s great loss when, out of the blue, Hess’ husband tells her he wants a divorce. He says he’s no longer in love with her and wants to shed his family responsibilities. Seemingly overnight, he goes from being a devoted husband and father to someone who acts as if his family and 20-year marriage meant nothing. Tragedy strikes again a few months later when Bill dies after a terrible motorcycle accident near a road called Final Drive. Hess must help her two children deal with the emotional fallout from losing their father. Along the way, she discovers how to triumph in the face of adversity. Author Shelly Hess lives in a St. Louis suburb and works in the medical billing industry. She hopes sharing her experience will encourage and inspire those facing their own challenges. So What If, published by Dog Ear Publishing, provides a starting point of discussion “for seekers who want to find the right road to start their journey, or for skeptics who reject any thoughts of a right path yet are still open minded.” It explores evil done both in the name of God and by dictators who reject the God of the Bible. The book also explores what the author calls “living evidence for the God of the Bible” in the form of people who believed in that God and who changed the lives of others for the better. 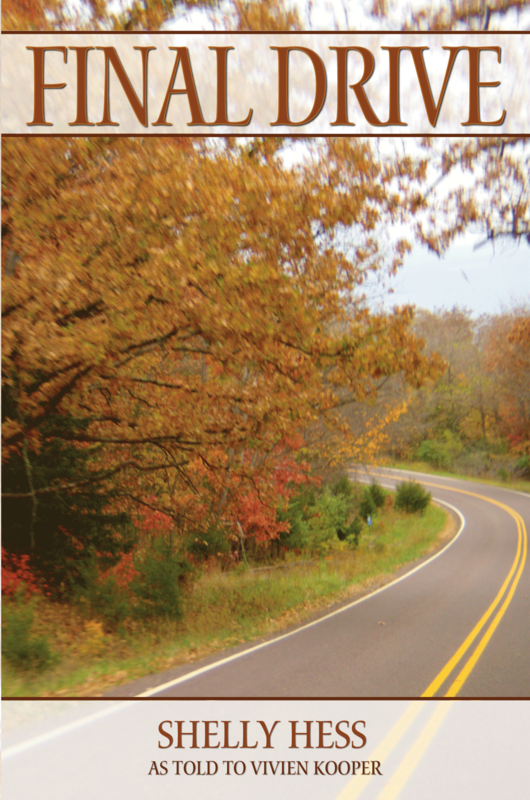 This “written road map” aims to provide a guide to anyone who seeks a God-driven way of life. Author Alvin F. Berry, a U.S. Navy veteran of the Korean War, married a missionary in 2002 and lives in Leesburg, Fla., where his wife is associate pastor. He has three grown children. His first wife died in 1998 after they’d been married 45 years. He attended Stephentown Evangelical Community Church for more than 50 years. Berry spent 25 years as a school board member for New York school systems. 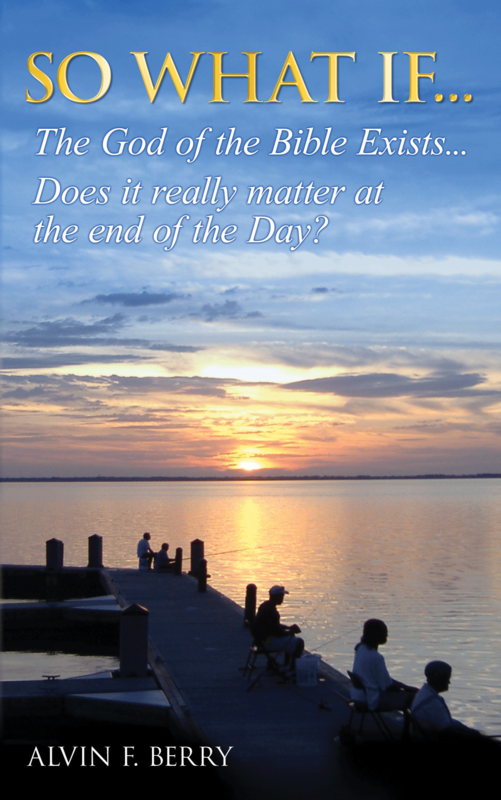 So What If … the God of the Bible Exist … Does It Really Matter at the End of the Day? Dog Ear Publishing – self-publishing that actually makes sense! Meet Judy, a 32-year-old law-school graduate who is struggling to pass the bar exam. This twice-divorced woman has no children and works at a large law firm as a paralegal. She’s trying to make her way in a world that hasn’t yet heard of iPods or social networking (except in a singles bar). This modern-day soap opera follows Judy and her Baby Boomer friends, as well as the family members who provide joy – and tension – in their intersecting lives. Boomers, a humorous read with a dark side, offers insight into a generation that began and corrupted the sexual revolution. Judy, forever hunting for real love and a protector, provides a focal point, discussing her doubts and dreams with her psychoanalyst and with her friends. Other unforgettable characters sprinkle the novel, such as man-obsessed Elaine, who eats when she’s depressed; Vicki, who has a drinking problem and may have breast cancer; Debbie, who isn’t afraid to get what she wants; and Adolph, a criminally handsome man who forever requires women. It’s anyone’s guess who will end up with a fulfilling life. Author Fred Korn has published poetry and prose in a variety of journals and exhibited his photographs in galleries on both coasts as well as in the Midwest. He lives in a small community near Lake Champlain after living in Florida, Ontario, Illinois, Idaho, and Italy. He was inspired to write the book after swapping stories with fellow travelers snowbound at a Midwest airport. Dyan is a typical middle-class American girl in the early 1960’s. She lives with her parents and her brother and sister, and she’s looking forward to her upcoming summer vacation. It’s her hope that this will be the best summer yet, and she can’t wait to spend time with her friends, both new and old. Dyan can’t wait to spend lazy days swimming in the pond, playing jacks, and shopping for new nail polish and penny candy. Unfortunately, one bad choice changes the course of Dyan’s summer as well as the course of the rest of her life and the lives of her loved ones. She and her friends are forced to deal with tragedy and heartbreak, and it’s more than a young person should be able to bear. Dyan and her friends learn that every moment counts and they need to live their lives to the fullest while they can. She also learns that a true friend—a friend who will stand by through good times and bad—is invaluable, and should be treasured. 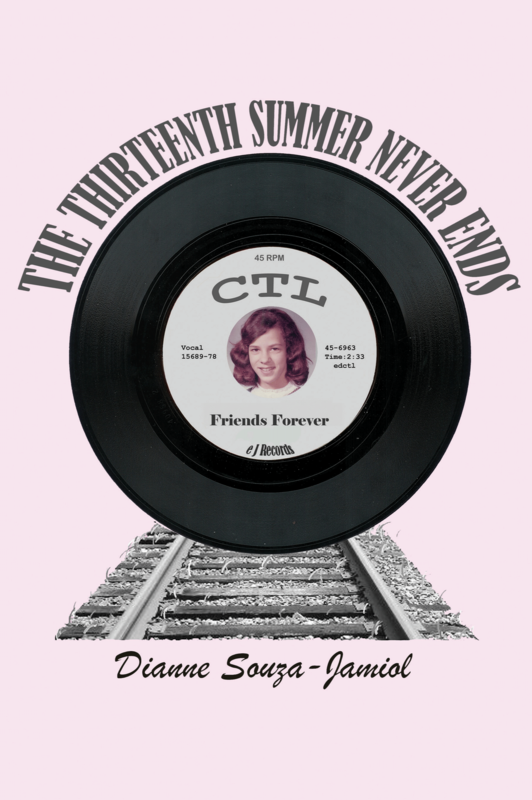 The Thirteenth Summer Never Ends, published by Dog Ear Publishing, is a lovely and evocative remembrance of a simpler time in America, a reminder of the innocence of youth and the fragility of life. Author Dianne Souza-Jamiol was born and raised in Cambridge, MA, and retains a fondness for the 1960’s. She met her husband, Ed, in 1969, and they have been married for 36 years. Together they successfully raised three daughters, and with their support and love Souza-Jamiol was able to make her dream of writing a novel a reality. About Dog Ear Publishing, LLC Dog Ear Publishing offers completely customized self-publishing services for independent authors. We provide cost-effective, fast, and highly profitable services to publish and distribute independently published books. Our book publishing and distribution services reach worldwide. Dog Ear authors retain all rights and complete creative control throughout the entire self-publishing process. Self-publishing services are available globally at http://www.dogearpublishing.net and from our offices in Indianapolis, Indiana. Lieutenant Al Santorini is fresh from great success; he’s captured a dangerous criminal, and though he mourns the loss of his best friend at the hands of the maniac, he’s relieved that the murderer has been brought to justice. He’s in line for a big commendation and his career is going well when he falls victim to a sniper’s rifle. He’s injured, but most of all he’s eager to find the shooter that nearly killed him. In his search, he’s taken on wild chase across two continents to find a former IRA member with a grudge against Santorini. As he searches for the shooter, Santorini becomes romantically involved with Joyce Gilmore, a local merchant who joins Santorini as his adventure takes him across the sea. As their love grows, Santorini gets closer and closer to discovering the identitity of his assassin. John Murphy, a professor of Irish history and gaelic as well as a former IRA member with a grudge against the lieutenant, finds himself on the run as Santorini gains on him. Will Santorini reach Murphy in time? Or will Murphy’s hatred be the end of Santorini’s life? 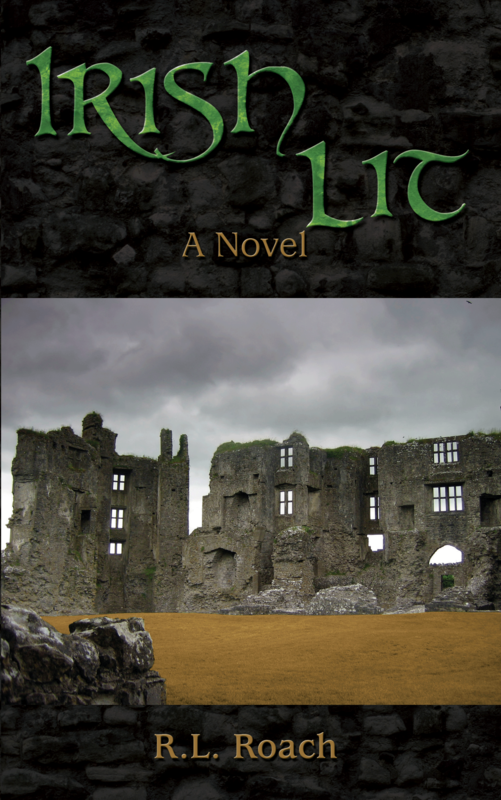 Irish Lit, published by Dog Ear Publishing, is a rip-roaring adventure with a likeable hero in Al Santorini. The readers will find themselves rooting for the successful resolution of the mystery, and wishing for more of Lieutenant Santorini’s adventures. Author R. L. Roach retired from a career in court reporting that spanned over thirty years. He retired a decade ago and moved to scenic Oregon to hone his writing and practice his golf and fly-fishing. This is his second novel. Life can take unexpected turns sometimes, and that’s when hearing the right word can make all the difference. Words that inspire, instruct and encourage people help them through times of transition, crisis or uncertainty, whether in body or soul. This collection of inspirational writings pairs Biblical truth with opportunities for reflection and direction both for new believers and those experienced with faith. What He Says As We Walk Vol. 1 follows the author’s travels around the United States and the world, where he has experiences that require prayer for understanding and perspective. But it’s not just profound experiences that prayer and faith can improve. The Biblical story of Noah and his wife, who built and stocked an ark against all odds shows men “that with Christ within us and a good God-sent woman by your side, there’s nothing you can’t do,” the author writes. Whether he’s writing about a victim of sexual assault who forgives her attacker, a family torn by divorce or a woman who turns her life around and becomes a missionary, McIntyre’s hope in faith and prayer – and their ability to make a difference in daily life – shines through. What He Says As We Walk Vol. 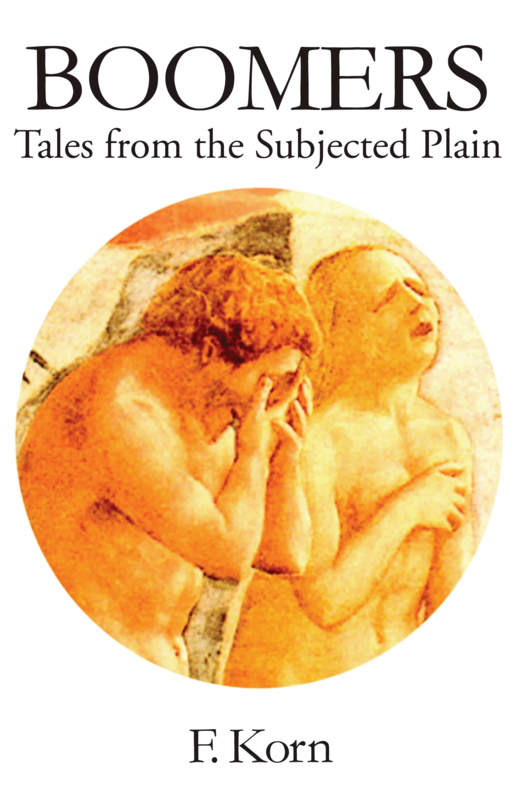 1, published by Dog Ear Publishing, consists of 136 entries. It has the feel of a devotional, yet it’s something distinctively unique. It covering numerous topics such as fiance, romance, hope, strength, direction, and faith. However, the articles, short stories, and poems where intentionally not categorized as such. You won’t know what you’re reading, until you’ve read it. 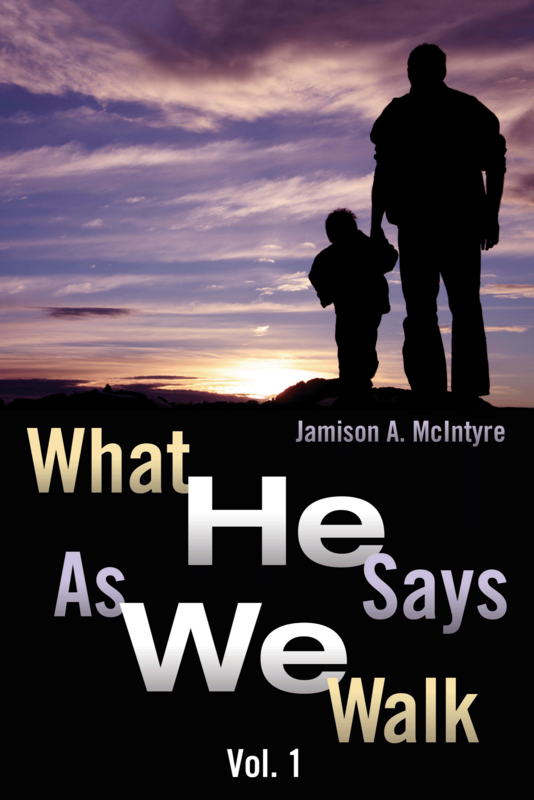 Author Jamison A. McIntyre has written short stories, poems and expositions, inspired by poet Shel Silverstein at a boy. This Fort Lauderdale, Fla., resident takes several distinct approaches to sharing God’s message. This book was written over more than a decade. Available at www.WHSAWW.com, Ingram, Amazon.com, Barnes & Noble, Abebooks.com, Superbookdeals.com, and fine bookstores everywhere. Two adventure seekers set off for the motorcycle ride of a lifetime, exploring more than 100,000 miles through 63 countries on 6 continents around the globe. Along the way, they encounter a charging elephant, near drowning, thieves, an active volcano and heatstroke. Energized by exploring the wonders of the world, their true adventure becomes discovering each other. 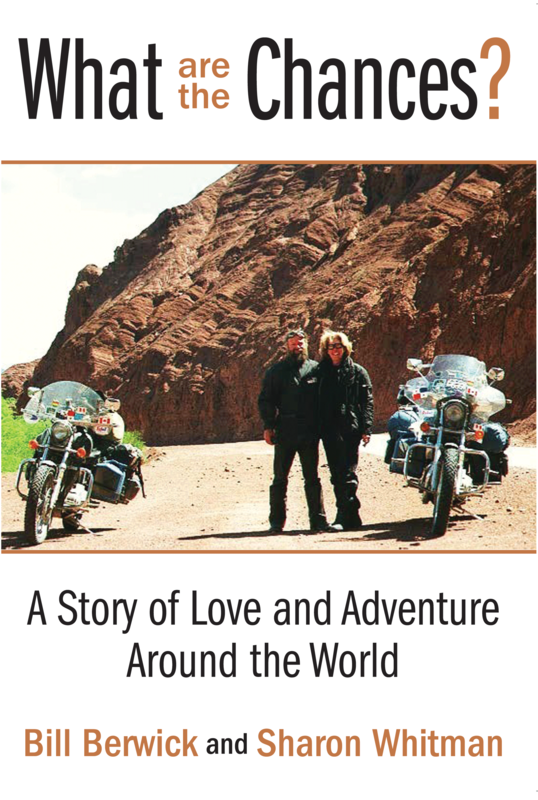 What Are the Chances?, published by Dog Ear Publishing, details the couple’s amazing adventures from their chance meeting at a motorcycle rally to their world travels June 2001 to July 2003. Nightly accommodations ranged from a tree house, a chalet, and a chair on a ferry deck, to a kennel, a raft, a gas station and a tent. The countries they visited included Chile, South Africa, Botswana, Turkey, Latvia, Cambodia, Thailand, New Zealand and Australia. From the Arctic Circle to Tierra del Fuego and from The Cape of Good Hope to Nordkapp, Norway they encountered men with machetes and rifles, breathtaking vistas, incredible mountain ranges, horrible roads and some of the friendliest, most helpful people imaginable. Bill Berwick began riding motorcycles when he was 16, traveling to Alaska in 1973 on a Triumph Daytona. He owned a bicycle shop in Pennsylvania for 11 years. Sharon Whitman, a former third-grade teacher and business owner, bought her first motorcycle when she was 50 and traveled around the world one year later. Both she and Bill sold their belongings, homes and businesses to fund their trip. They currently live in North Carolina where they eagerly anticipate their next adventure. Tagged A Story of Love and Adventure Around the World, Bill Berwick, Dog Ear Publishing, self publishing, Sharon Whitman, What are the Chances?